This gallery includes carriers, assault ships and vessels of the Royal Fleet Auxiliary. Images of the new Queen Elizabeth-class aircraft carriers currently under construction can be found in the Clyde: Shipbuilding and River Forth galleries. 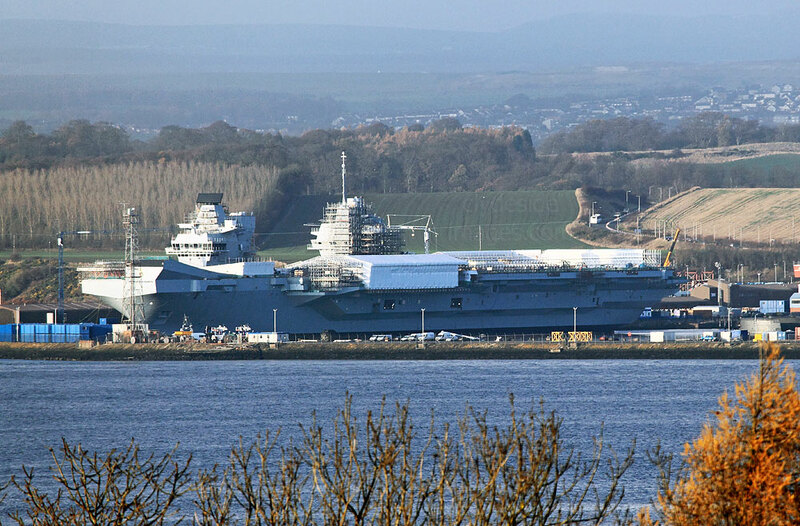 HMS Queen Elizabeth under construction at Rosyth.